Runnin’ through the 6ix with 13,000 of my closest woes. 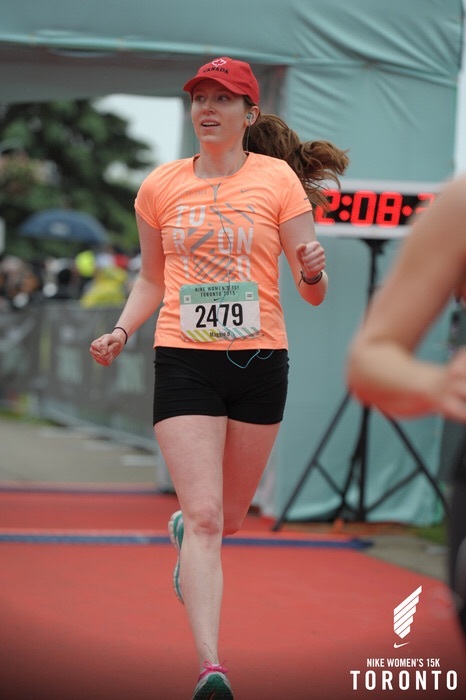 On Sunday, I came, saw, and conquered the Nike Women’s 15k on the Toronto Islands. Somehow, I managed to completely avoid the rain during the actual run and it was really beautiful! 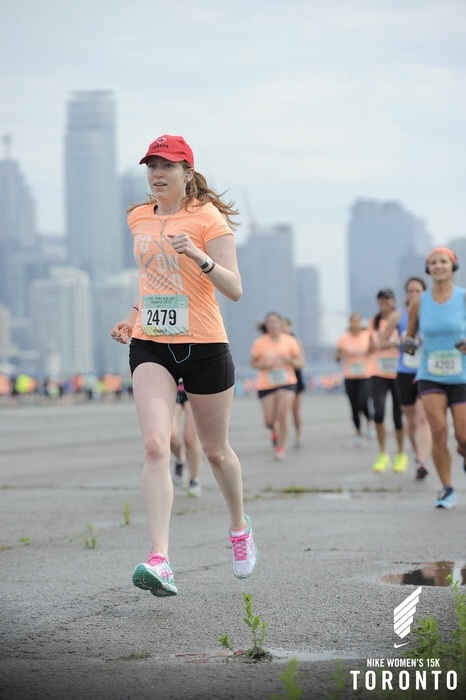 The whole course was so amazing, including a whole stretch by the Billy Bishop Airport with a gorgeous view of that Toronto skyline I love. Nike put on a great show and really took care of us. They had DJs, drumlines, and a gospel choir (!) scattered along the run, and lots of spectators cheering us along. There were so many photographers along the route so lots of opportunities to grab that elusive white-whale perfect insta but… it’s hard to run and smile! I was trying to focus on my plan: 1-5k set a strong but steady pace and clear away from slower runners in my wave. 5-10k keep quick pace and settle in to push back when I hit the wall… usually around 9km. 10-12k recovery mode with deep breaths and prepping for the final push. 13-15k double the pace at the boardwalk and sprint the last km. I probably passed about 100 people in the last stretch. I finished strong and leaped over the finish line in triumph! I still feel like a million bucks! During my training I averaged a comfortable 10-minute mile, so I was aiming to finish the course between 1:30 to 1:45 — and I finished in 1:33! I am really pleased with this time. 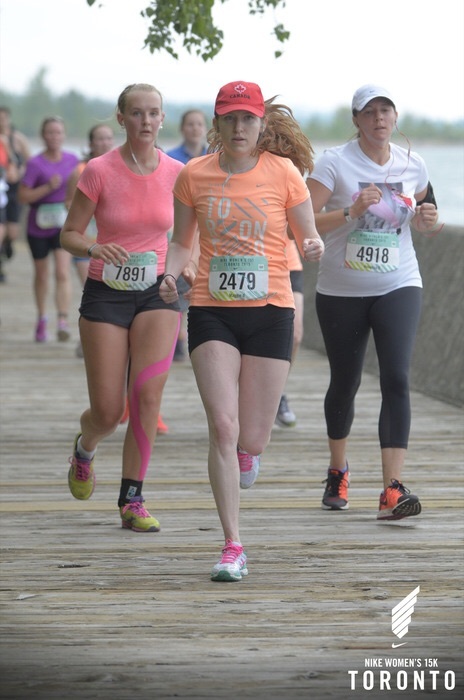 This has been a great experience and really good practice for… the Scotiabank Waterfront Half-Marathon in October! My goal will be to finish the half in under 2hrs! These mountains aren’t going to climb themselves. See you on the finish line! 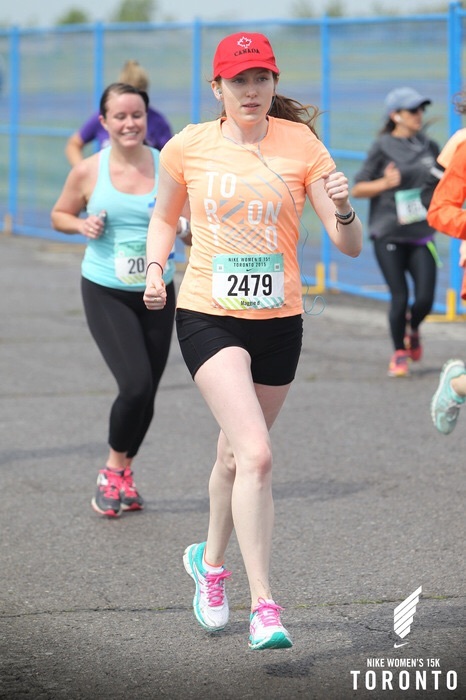 This entry was posted in Running and tagged 15k, marathon, Nike, Nike Women's 15k, race, run, Running, Scotiabank Waterfront Half-Marathon, Toronto Islands, training. Bookmark the permalink.